Mail merge fields allow you to create rich personalised email templates. 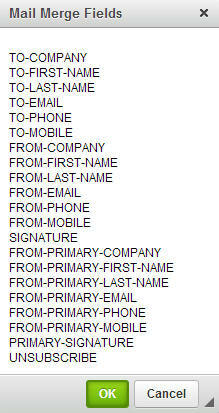 Mail Merge fields are also applicable for Group ad-hoc emails. We currently support mail merge fields for common contact information and the sales person's information.